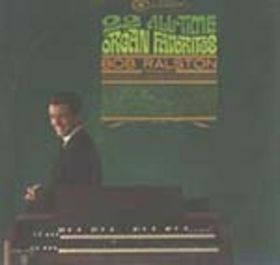 Here is the Lawrence Welk organist Bob Ralston, who while trying to be Alpert-esque with the album lettering, has still managed to do this album cover without being covered in food, to his credit. Judging by Ralston’s youthful appearance, this album probably dates to about the same time as “Whipped Cream”. 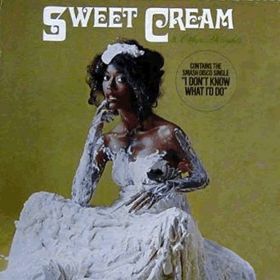 “Sweet Cream and Other Delights” is a 1978 album by the all-girl funk/soul trio from Detroit called Sweet Cream. When working as backup singers, they would be featured on many albums as “The Ridgeway Sisters” or “The Ridgeways”. The three Ridgeway sisters (Gloria, Esther, and Gracie) have been singing as a group since age 4, 6 and 8 respectively. At most recent report, only Gloria has survived the three, the others having passed on in this decade, while still in their forties.